Pest monitoring Use a sweep net to sample for large larvae. Take a minimum of 100 sweeps divided into groups of 10 in different parts of the field and along the margins. Sequential sampling that involves fewer samples, and presence-or-absence sampling that does not involve counting, also may be used. Pheromone traps can be used to monitor for the emergence of adult male alfalfa and cabbage looper moths. 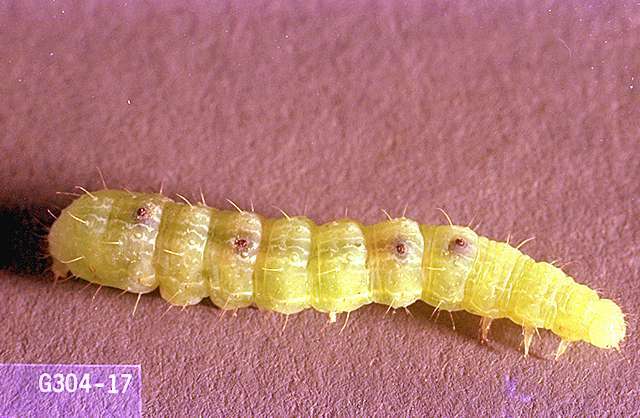 Cabbage loopers have many natural enemies that may keep them below economic levels if they are not killed by insecticide treatments for other pests. These include several important, naturally occurring parasites. A nuclear polyhedrosis virus disease is also important under certain circumstances. If looper populations are increasing but below treatment thresholds, and you find a significant percentage of parasitized or disease-killed individuals, delay treatment decisions for a few days to see if these natural controls will bring populations down on their own. If treatment is necessary, Bacillus thuringiensis insecticide minimizes injury to natural enemies and is sometimes sufficient when looper pressure is relatively low. 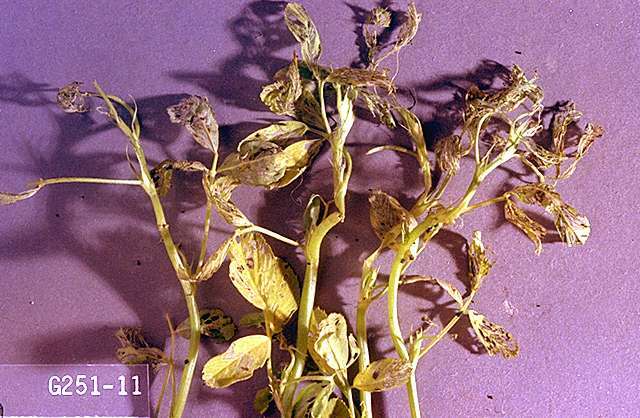 Weed control can significantly affect looper management. 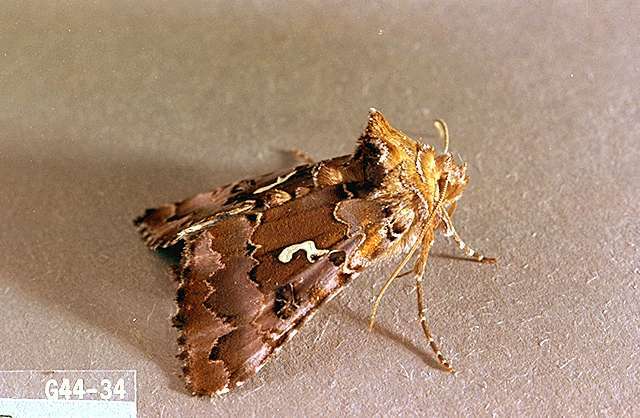 Eliminate concentrations of lambsquarters, mustard, and other weeds that attract and host looper moths. bifenthrin-Not for use on dry peas. Bacillus thuringiensis (Javelin)-See product labels for rates. PHI 0 days. REI 4 hr. Acts slowly; may need multiple applications. Add an appropriate spreader-sticker to enhance control. Most effective on small larvae. Bt is less effective and acts more slowly during cool weather when larvae feed slowly. Some formulations are OMRI-listed for organic use. carbaryl (Sevin) at 1.5 lb ai/a. PHI 3 days for succulents, 21 days for dried, 14 days for forage, and 21 days for hay. REI 12 hr. Alfalfa looper (suppression). Observe plant-response precautions. Toxic in aquatic habitats. Latex-based formulations, such as Sevin XLR Plus, are less hazardous to bees. esfenvalerate (Asana) at 0.03 to 0.05 lb ai/a. PHI 3 days for green peas, 21 days for dry peas. REI 12 hr. Labeled for alfalfa looper on green peas only and for cabbage looper on dry peas only. Do not exceed 0.2 lb ai/a (dry peas) or 0.1 lb ai/a (green peas) per season. Do not feed or graze treated vines. Do not apply within 25 ft of an aquatic habitat, 150 ft if applied by air. gamma-cyhalothrin (Proaxis) at 0.0075 to 0.015 lb ai/a. PHI 7 days edible podded and succulent shelled peas, and 21 days for dry shelled peas. REI 24 hr. Do not exceed 0.06 lb ai/a per season. lambda-cyhalothrin (Warrior) at 0.02 to 0.03 lb ai/a. PHI 7 days for succulent peas, 21 days for dry peas. REI 24 hr. Do not graze, or feed to livestock. Do not exceed 0.12 lb ai/a per season. Do not apply within 25 ft of an aquatic habitat, 150 ft if applied by air. methomyl (Lannate) at 0.45 to 0.9 lb/a. PHI 1 day for harvest, 5 days for forage, 14 days for hay. REI 48 hr. Green peas only. Do not exceed six applications per crop or 2.7 lb ai/a per season. methoxyfenozide (Intrepid) at 0.06 to 0.12 lb ai/a early-season or 0.12 to 0.25 lb ai/a mid- to late-season. PHI 7 days. REI 4 hr. Do not exceed 1 lb ai/a per season. Retreatment interval 7 days. naled (Dibrom) at 0.94 lb ai/a. PHI 1 day. REI 48 hr. Processing peas only. Do not feed vines. Do not apply within 25 ft of an aquatic habitat, 150 ft if applied by air. spinetoram (Radiant SC) at 0.0391 to 0.0781 lb ai/a. PHI 28 days for dry peas, 3 days for fresh peas. Retreatment interval 4 days. REI 4 hr. Do not exceed six applications or 0.94 lb ai/a per season. Do not apply to seedling leafy vegetables grown for transplant within a greenhouse, shade house, or field plot. Follow resistance management procedures on the label. Cabbage looper only. spinosad (Success) at 0.06 to 0.09 lb ai/a. PHI 3 days for succulent peas, 28 days dry peas. REI 4 hr. 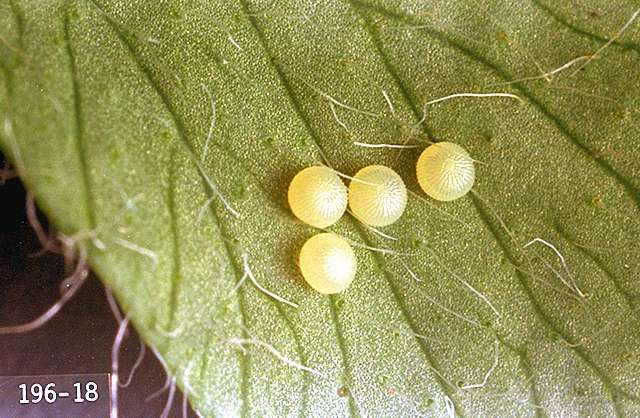 Treat eggs at hatch and small larvae. Do not exceed 0.45 lb ai/a per season for green peas or 0.188 lb ai/a for dry peas. Spinosad takes several days to achieve full effect. Monitor fields and pest populations carefully. Multiple applications may be necessary. Do not feed forage or hay to livestock. Some formulations are OMRI-listed for organic use. zeta-cypermethrin (Mustang, Mustang Max) at 0.04 to 0.05 lb ai/a (Mustang) or 0.2 to 0.25 lb ai/a (Mustang Max). PHI 1 day for succulent peas and 21 days for dry peas. REI 12 hr. Retreatment interval 5 days. Do not exceed 0.3 lb ai/a (Mustang or 0.15 lb ai/a (Mustang Max) per season. Do not apply within 25 ft of an aquatic habitat, 150 ft if applied by air.